This new edition incorporates many of the new decisions emanating from Singapore, Malaysia and the United Kingdom since the publication of the 5th edition more than 12 years ago. 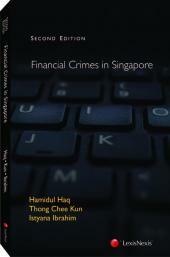 It encompasses detailed factual coverage of all-important cases on banker and customer in a single volume. As with previous editions, Law of Banker and Customer, 6th Edition will be an essential reference for both banking practitioner and the law student. 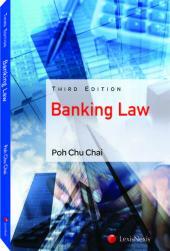 Dr Poh Chu Chai started teaching Banking and Negotiable Instruments at the Faculty of Law, National University of Singapore, back in 1973. He is currently a Senior Research Fellow at the Centre for Banking and Finance Law at the Faculty. 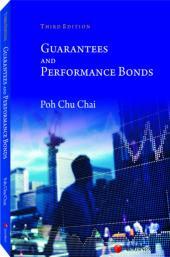 Dr Poh is an established author who has published in the areas of Banking and Law of Insurance. His publications have been widely cited by the courts, in more than 132 cases, including the Singapore Court of Appeal and the Malaysian Court of Appeal and Federal Court. His publications include, Guarantees and Performance Bonds (Third Edition); Law of Banker and Customer (Sixth Edition); Law of Negotiable Instruments (Seventh Edition); Banking Law (Second Edition); Motor and Work Injury Insurance (2010); General Insurance Law (2009); Law of Life, Motor and Workmen’s Compensation Insurance (Sixth Edition); Principles of Insurance Law (Sixth Edition); Law of Pledges, Guarantees and Letters of Credit (Fifth Edition).